We packed, we played, and we didn’t really sleep: it was a good weekend in Mister Saturday Night land. 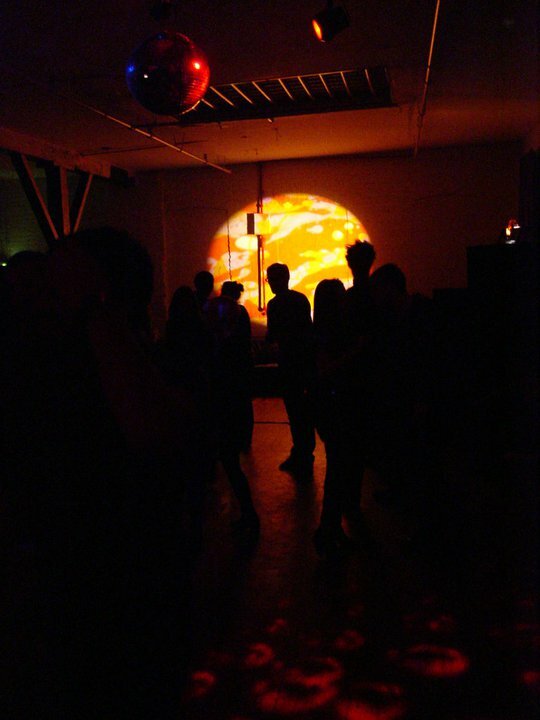 The new loft space felt warmer than ever before, mostly because we fixed our Optikinetics oil wheel projector (the thing producing that Mars-like glow in the picture above). Eamon and I were both chuffed with our sets (‘I’ve Got A Feeling’ by The Beatles closing it out was the easy highlight), and Superpitcher’s record selection, mixing and fashion sensibility were full of class – pretty much just what you’d expect from someone who makes such tasteful and lush techno. Sunday’s surprise gig at Le Bain was a great way to wind it down. The view from up there is just lovely; you can see the new World Trade Center in progress. Just a few more floors and it’ll be taller than anything else down there. We’re surprised and excited to see it’s coming along. Thanks to all who came out to both. You made it special!